This cute Passover Peter Passover card is perfect to give to a person or couple who is in an interfaith relationship or who celebrates both Easter and Passover. This card can be fully customized and personalized at no extra charge and also includes a free matching colored envelope, round envelope seal, and a U.S. Forever postage stamp. 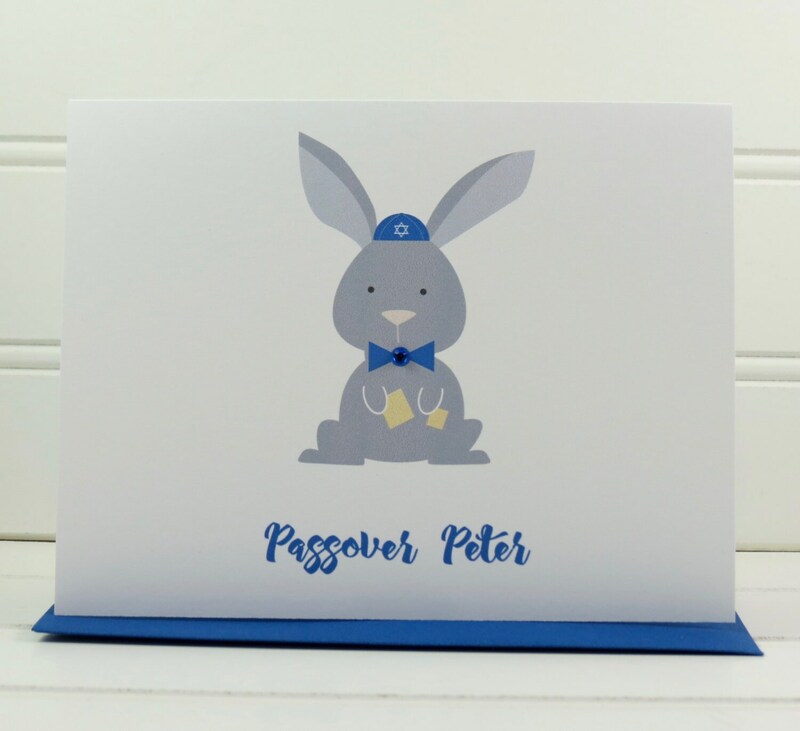 On the front of the card, there is an illustration of Peter the Easter Bunny wearing a Yarmulke and about to eat some matzah crackers to celebrate Passover. The message beneath the illustration says "Passover Peter". The message on the inside of the card says "Happy Easter and Passover". The card measures 4.25” x 5.5” when folded. The cutest interfaith Passover Easter card I have seen.